Head over and snag these Apple AirPods with Charging Case $147 (Retail $159). These make great gifts....Teacher Appreciation Week is right around the corner! Head over to get one of these Personalized Teacher Notepads for ONLY $3.99 (Retail $6.99)! The perfect choice for Teacher appreciation week, these notepads are great for notes home to parents, praise notes for students, or just a fun place for any teacher to write down their to-do list, They really are a wonderful gift for any teacher, co-worker or neighbor in your life! With 14 different options, there's bound to be an ideal style for the teacher in your life. Each notepad includes 40 brightly printed pages, backed with chipboard. Notepads measure approximately 4.25" x 5.5 inches and can be printed with your choice of design, with a personalized name or school in your choice of color. 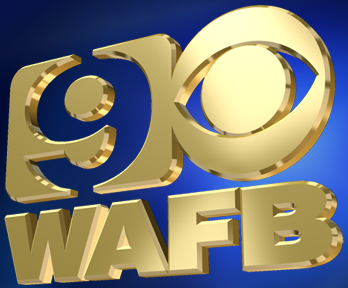 This weekend Walgreens is offering Free 8x10 Enlargement w/ code 8X10APRIL + Free Same Day Pickup. 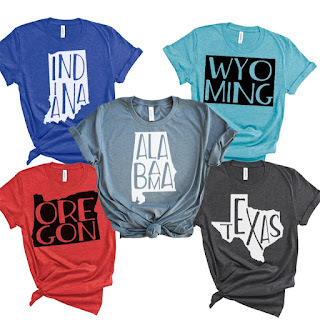 Right now these *POPULAR* Lake Life Tees $13.99 (Retail $30). Hello Lake Life! Celebrate summer with one of these super cute tees! $3.99 for the first item and $2.99 for each additional item. 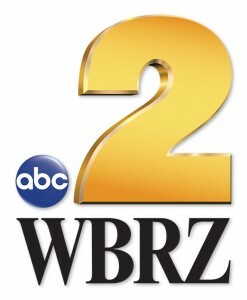 US only. Ships no later than Sat, May 4. Head over to get this Nerf N-Strike Elite Mega CycloneShock Blaster for ONLY $9.99 (Retail $21.99)! Always nice to have a few of these on hand! 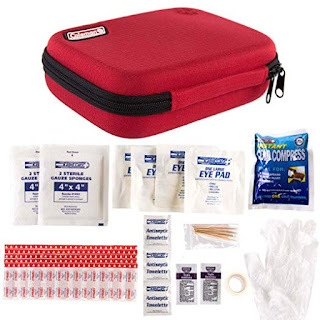 This 78pc Coleman First Aid Kit Emergency Pack In Zip Travel Case $6.99 Shipped. 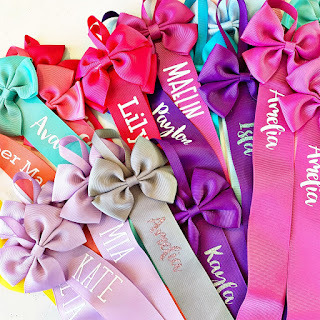 Right now these Personalized Glitter Bow Holders $6.59 (Retail $12.99). Each bow holder is made from high-quality grosgrain and has a loop on the top of every holder to make this super easy to hang! Each bow holder is approximately 24 inches long and can hold about 10 - 15 bows, depending on size. These are personalized with high-quality non-shed glitter and have 5 unique font choices to choose from! You can grab a few to display all of your favorite hair clips! $2.99 for the first item and free for each additional item. US only. Ships no later than Sun, May 5. Hurry over to get this Sports Towel for Instant Cooling Relief for as low as $6.99 (Retail $26.99). EXTRA LONG &amp; COMFORT. 40″ by 12″, decent size for your daily usage. Our microfiber mesh material towels won't dry to cardboards like the PVA ones. It is silky soft at any time, provides you with extra comfort while using as a towel, neckerchief, scarf, or headwear etc. 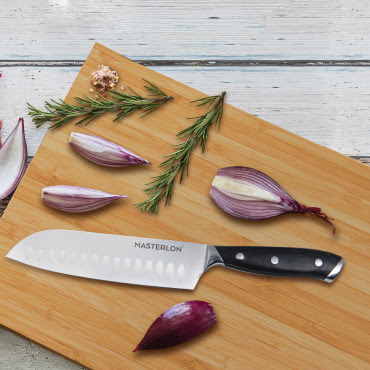 SAFE &amp; MULTIFUNCTIONAL. As it's working on the physical evaporation of moisture, no chemicals are used during the making process. It's perfect for sports fans into golf, swimming, football, workout, gym and fitness, also works for fever or headache therapy, heatstroke prevention, sunscreen protection, cooling while absorbing. Keep yourself cool during hot summer days, workout sessions, outdoor adventures or when someone has a migraine. CUSTOMER SERVICE. Please do mail us if you face any problems or not happy with the item, our team is always there for you to resolve any issues or do a full refund. 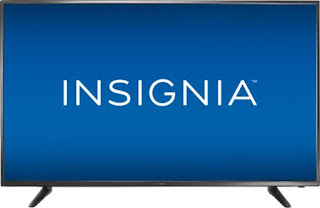 Check out this Insignia™ - 14-Bottle Wine Cooler $89.99 (Retail $129.99). 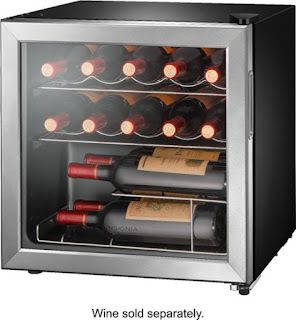 Maintain your favorite vintages at the right temperature with this 14-bottle Insignia wine cooler. Flexible cold settings let you change the chill level to match the wines inside, while the wire shelves give you convenient access to the individual bottle you want. This 1.5 cu. ft. stainless steel Insignia wine cooler has a transparent door for visibility. 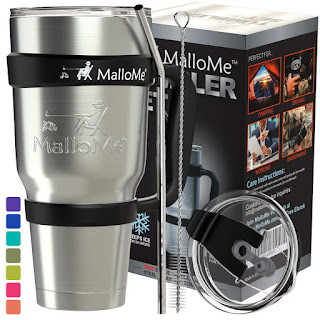 Head over to get this MalloMe Stainless Steel Insulated Tumbler With Straw 6 Piece Set for ONLY $15.99! 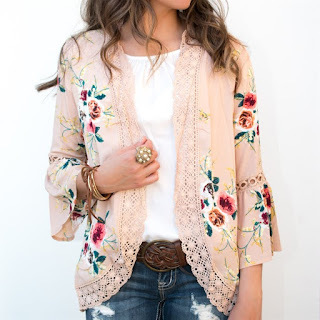 Be sure to apply the $3 off coupon at checkout to bring the price down to ONLY $12.99! I have two of these and just had to buy a few more as my children keep using mine! That's why we created the MalloMe Stainless Steel Tumbler Set complete with an insulated tumbler, convenient slip-on carry handle, two lids, a steel reusable straw and a cleaning brush; everything you need to take every adventure head on and with proper hydration. Head over to get a pair of these MUK LUKS ® Women's Heeled Sandals for ONLY $19.99 Shipped (Retail $79)! With its sophisticated good looks and comfortable fit, MUK LUKS® Heeled Sandals take your look from casual to chic. Slingback style features a head-turning 2" heel. 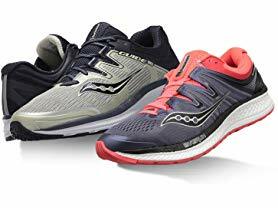 Adjustable buckle and padded insole. Spot clean with cold water, no bleach, dry flat. Imported. True to size.